402-1718 Nelson Street, Vancouver - SOLD | Matt Pozer - Oakwyn Realty Ltd. Located in the heart of the West End this bright & immaculate 1 bedroom top floor suite overlooks a tree-lined street. Northeast exposure. Very efficient floor plan. Updated open concept kitchen w/ newer appliances & updated bathroom. Laminate floor throughout, generous closet space & large balcony. 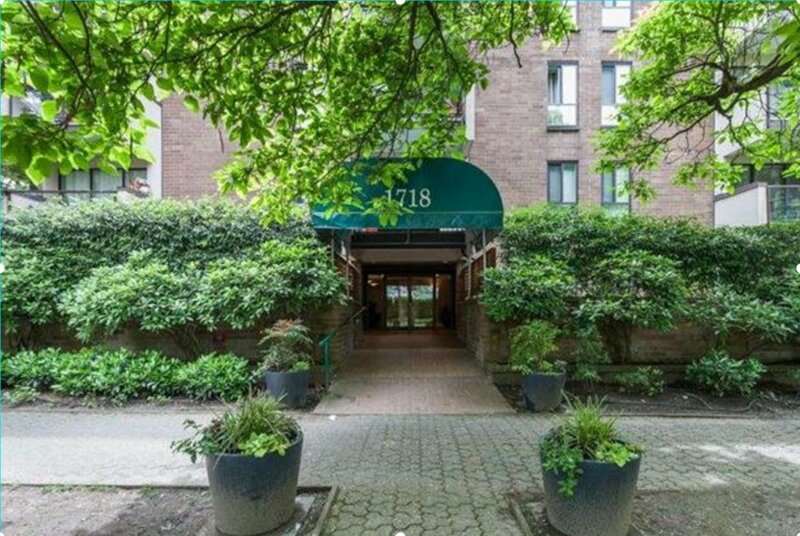 Regency Terrace is a well run 43 unit building conveniently located steps to Davie and Denman shops & restaurants, Seawall, English Bay & Stanley Park. 1 secure underground parking stall & 1 storage locker. Pet friendly building & rentals allowed. 1 block from public transit & schools.